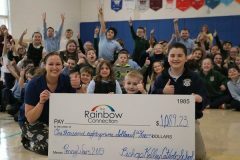 The Rainbow Connection’s Wish Coordinator Kristen McKelvey joined Bishop Kelley students, like first-grader Atticus Yaros and former Rainbow Connection Wish receiver Eli Anglebrandt, Thursday to learn the result of the school’s penny wars fundraiser. Photo by Nicholas PuglieseLAPEER — In June, Eli Anglebrandt will be five years cancer free. 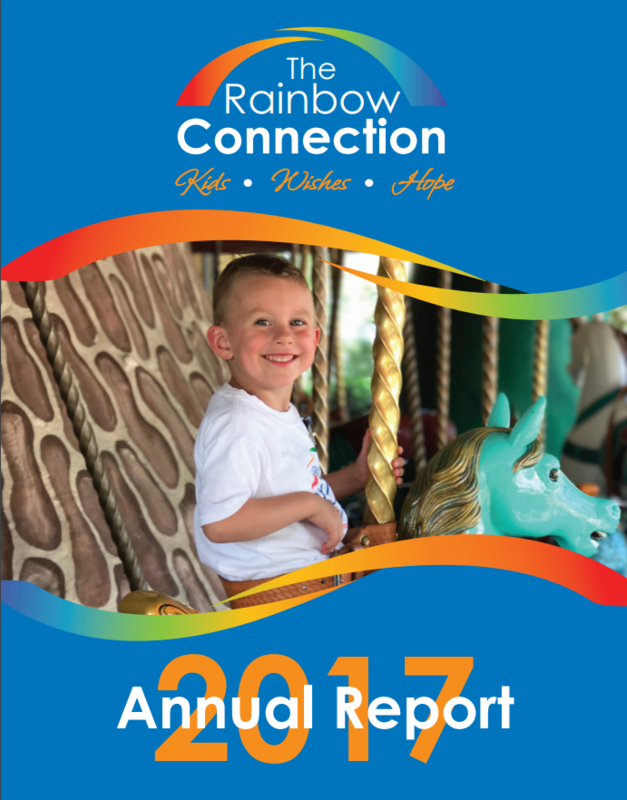 On Thursday, with the help from his Bishop Kelley Catholic School peers and teachers, Eli delivered a check to an organization that, during the most difficult point in his young life, offered him a week of much-needed respite.